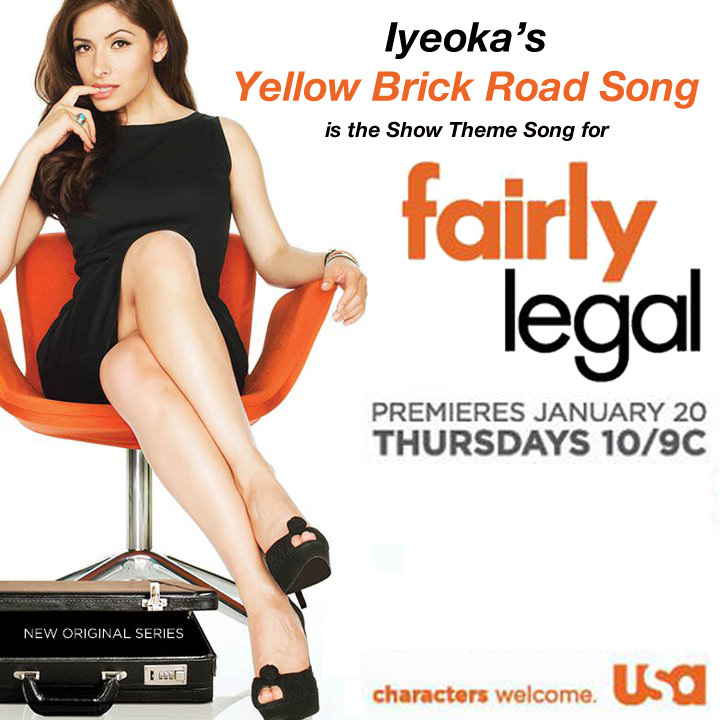 The Yellow Brick Road Song, the first song on Iyeoka’s SAY YES album, is the official theme song for the USA network show Fairly Legal. You’ll hear it in the first episode (airing Thursday Jan 20, 2011) during the credits at the end, and then as the intro theme song for future episodes regularly airing at 10pm Thursdays on USA. The show cleverly taps into some themes from the Wizard of Oz, both in the episodes and in the star of the show Sarah Shahi‘s real life. These themes are perfectly complemented by the lyrics in The Yellow Brick Road Song. The song was one of the first co-written with David Franz at Underground Sun studio and has also been featured in an episode of HBO’s How To Make It In America show. Everyone in Iyeoka’s TriBe is extremely excited, including the Amenawon Foundation, Underground Sun, Phanai Media, and Mesia Consulting Group, along with the growing number of fans who recognize the positive energy behind the music. Its so amazing that USA network and all those associated with the show are supporting this energy too. Please support the show and tell your friends to download The Yellow Brick Road Song here for free! 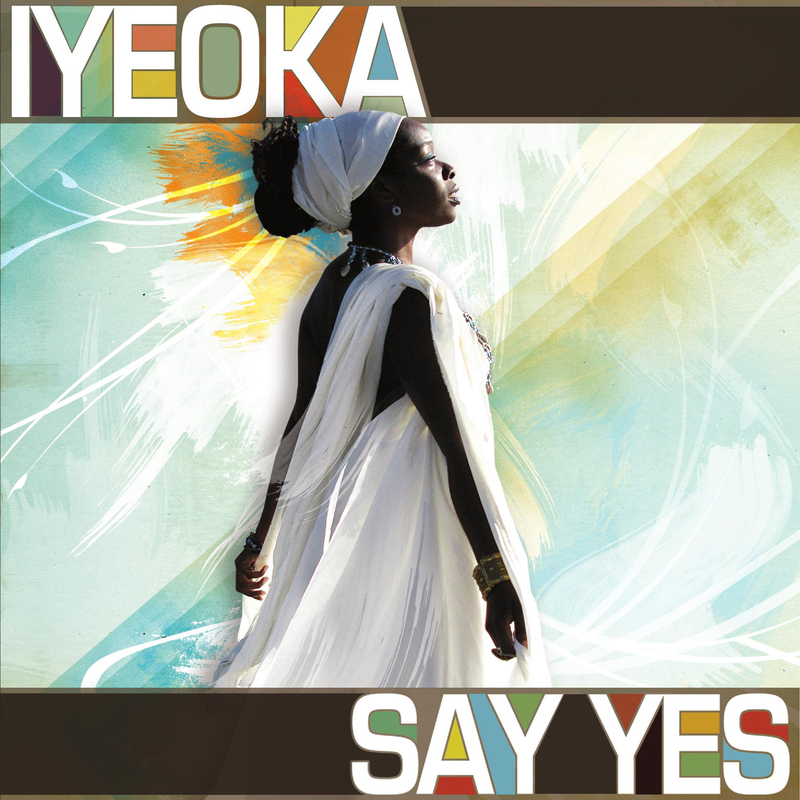 I’m very proud to announce the release of Iyeoka’s album “Say Yes”. This is an album that Iyeoka, David, myself and our team have been working on relentlessly for the past 18 months. It’s been quite a journey and we’re looking forward to what’s next! Take a little time and sample some of our music at www.iyeoka.com. “Say Yes” is available for purchase at the website and on iTunes. We appreciate your support! LocalFocus wins MIT’s Linked Data Product Development Competition! Sir Tim Berners-Lee is a digital age living legend. He’s credited for inventing the World Wide Web where on Dec. 25, 1990 he and his staff at CERN executed the first successful communication between an HTTP client and server on the Internet, and the rest so to speak is history. As the director of the World Wide Web Consortium (W3C), Berners-Lee is overseeing the evolution of the web, particularly in the direction of how information and services are defined. This falls under the auspices of what is known as Semantic Web, or more specifically Linked Data. Why is this important? Presently web pages are designed to be read and navigated by humans. We take for granted how we surf the net and gather information depending on what our objectives are. Computers on their own can not easily accomplish this without human direction. As we live in the information age, it makes sense that web evolve in such a way that computers have a context and understanding of what’s on a web page and in turn have an informational perspective of that page in relation to information across the web. By having this ability, software can be developed to automate tasks relating to gathering and categorizing information on the web in a meaningful way. Why is this important? Presently web pages are designed to be read and navigated by humans. We take for granted how we surf the net and gather information depending on what our objectives are. Computers on their own can not easily accomplish this without human direction. As we live in the information age, it makes sense that web evolve in such a way that computers have a context and understanding of what’s on a web page and in turn have an informational and associative perspective of that data. In an effort to help define what applications can be developed leveraging Semantic Web, MIT conducted a week long Linked Data Product Development Lab which culminated on Jan. 19, 2010 in which competing teams demo their Linked Data applications. 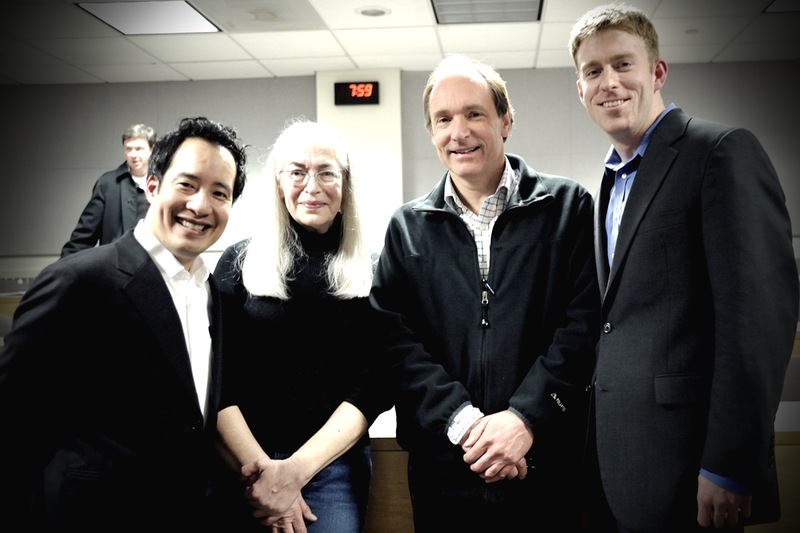 The presentations were conducted at the Sloan School and the judging panel included Berners-Lee along with representatives from Spark Capital and Charles River Ventures. The team that I was on, was comprised of MIT alum Gladis Filchtiner and Zach Richardson from the University of Texas. 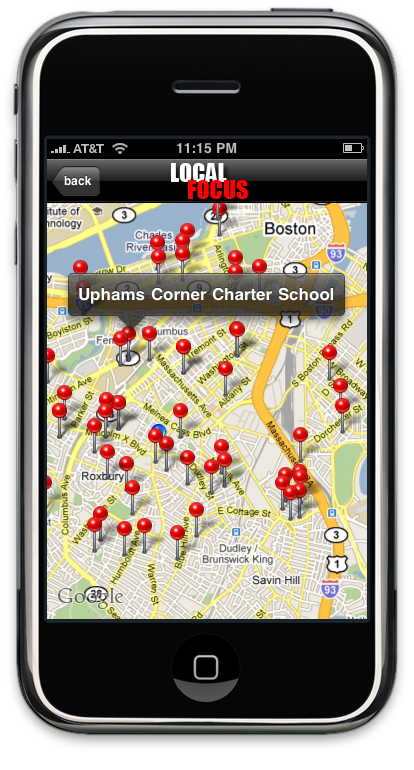 Our project, named LocalFocus, is a development platform in which developers can create sophisticated Linked Data queries, which can then be deployed as modules to a mobile client, such as the iPhone. As part of our demo, we showed various different queries on the iPhone with real time results rendering onto Google Maps. The coding experience for me was grueling, like Music Hack Day except four times longer! Zach and I didn’t get our client and server communicating properly until an hour before the demo! It was literally down to the wire. It’s really quite an honor for Zach and I to come in as guests to MIT, come under Gladis’ wings and win this competition, especially considering the strength of the seven other competing teams. 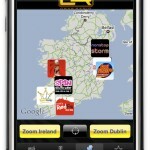 This has given us the confidence to take LocalFocus to the next step and develop a business plan. As Zach is from Austin, we’re looking to pitch our ideas to investors at SxSW Interactive in March! Special thanks are in order to the organizers of the event: K. Krasnow Waterman, Reed Sturtevant and Bill Aulet. Music Hack Day has been a recent phenomenon where music software developers and enthusiasts from all around the world converge to exchange ideas and compete against each other in “hacking” together a software project in 24 hours. In 2009, these conferences have been in London, Berlin, Amsterdam and just recently in Boston. The event was hosted by Microsoft’s New England Research and Development Center, and organized by the tireless Jon Pierce, Paul Lamere and Dave Haynes. Company participants at the conference read like a who’s who in the music software industry, a lot of whom are based out of Boston. This includes the likes of Harmonix, Noteflight, Tapulous, Sonos, Echo Nest, Last.fm, SoundCloud, NPR, TourFilter, Conduit Labs and Berklee Music Online. There were a couple dozen brief 25 minute API and platform workshops that participants could choose to attend. Two companies that have been generating a lot of buzz at the conference were Echo Nest and Noteflight. Echo Nest has developed a platform that can analyze audio of a song and generate multitudes of music characteristics relating to rhythm, pitch and timbre. This has led to an emerging field of music informatics with broad applications ranging from determining statistical music analysis on what makes Coldplay popular to doing remixes of cross genre music that happen to have particular features that are similar. Noteflight does online music notation that is community oriented. Founded by my former Allurent colleague and Flex mentor Joe Berkovitz, Noteflight is paving the way with how users can contribute and share music scores online. It comes as no surprise to me that Noteflight is lauded for it’s incredibly intuitive user interface. SoundCloud, the social networking music service that I use to showcase my music presented their API for account access and audio streaming, which of course got me very interested. They are based out of Berlin, and were just as excited as me about the prospects of me doing an iPhone app that showcases their audio API. So just like that, on 2pm last Saturday, I decided to take this on as my project. I would have to submit my project by the 3:45pm deadline the following day. Things got off to a pretty rough start. A faulty sync cable ended up crashing my phone, rendering it inoperable. Fortunately, one of the SoundCloud developers loaned me his iPhone, while another developer tried to restore my iPhone. As I was studying their API, it was really convenient to consult them directly! I coded straight for the next 24 hours, except to sleep briefly from 11pm to 2:30am! Time was so tight that I was coding on the subway on my way home. 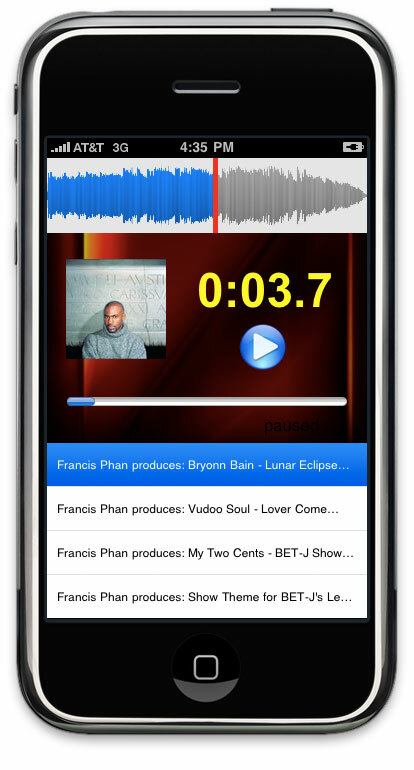 The app I developed, the Phanai SoundCloud iPhone app, showcases some of the music I’ve produced over the years, which can be viewed at SoundCloud here. In order to develop the iPhone version of this, I needed to use SoundCloud’s API to log into my account, iterate through all my tracks and get information such as the artist name, song name and album artwork. I also leveraged the iPhone’s touch screen to allow the user to scrub (seek) to any position of the song by swiping along an audio waveform that represents the recorded track. See above for actual screenshot of the app. I’m happy to report that I won the iPhone category of the competition, as well as considered a finalist in the overall “Winning Hacks”. I walked away with a new iTouch, provided by Tapulous and a free online course at Berklee Music. Special thanks to Hannes, Johannes and Dave from SoundCloud and to the organizers of this event. 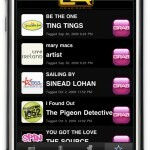 Grab Radio iPhone App Launches! 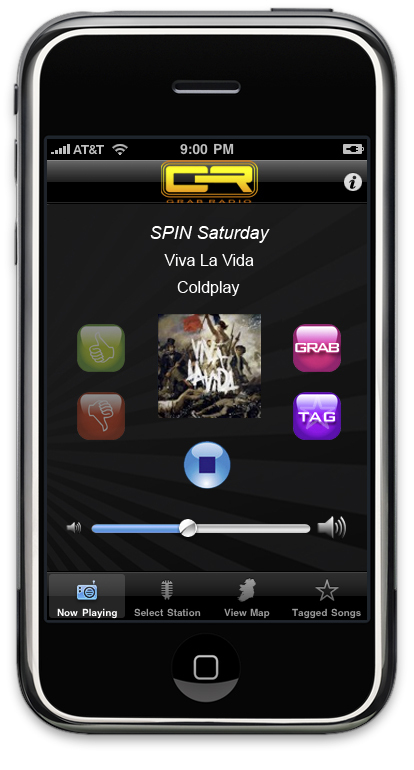 There’s no doubt that radio apps such as Pandora and LastFM are hot, but radio station aggregate apps have their place too, especially when you want to to tune into specific programming in particular parts of the world. 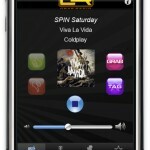 I’m happy to announce my partnership Global International Radio Technologies, where I’m doing iPhone development for a streaming radio application called Grab Radio. 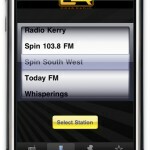 The first edition of this app will focus on radio station programming in Ireland that supports digital streaming. 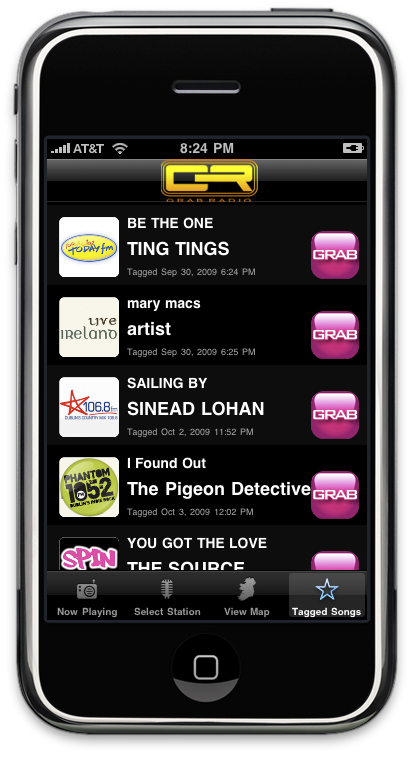 It will include features such as “Grabbing” where you could purchase a song you’re listening to on Grab Radio. You could also “Tag” or bookmark a song for purchase at a later point. 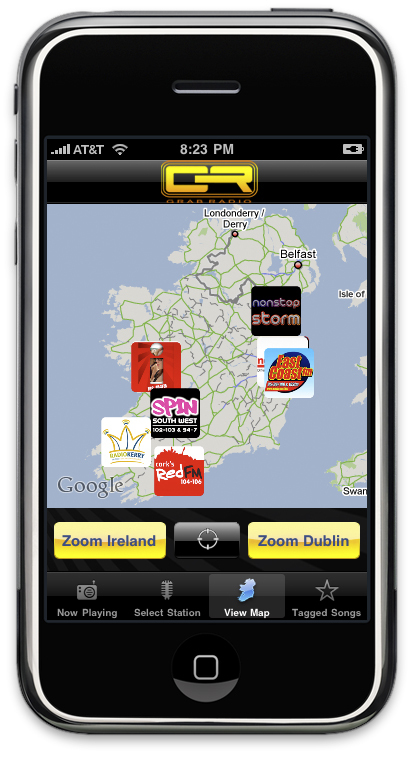 I’m particularly excited about working on a MapKit implementation where you could select radio stations that appear on a map, in this case that of Ireland. Eventually future editions could focus on other countries or geographical regions around the world. 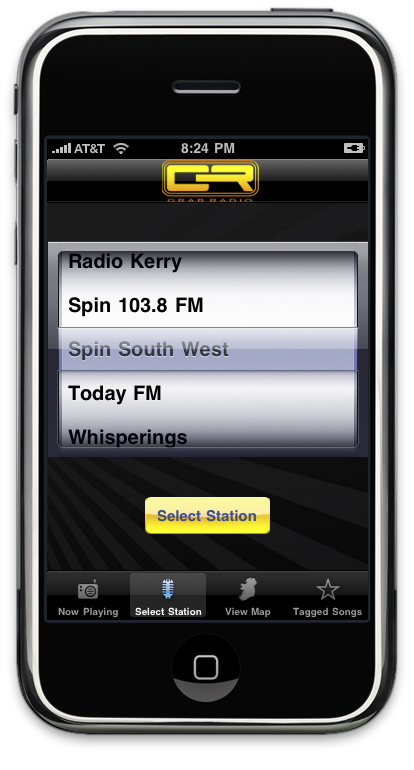 Grab Radio can be downloaded here.